Desktop app. Filters on top. Lozenges in filters. Search results display in cards. Now, can these cards have lozenges? No right? Cause I need to show which one of the filters each particular card corresponds to...I think it's is familiar pattern if filter criteria in a card is just plain text. It can be separated by commas, or otherwise. If anyone can think of a website that shows this type of pattern, please tell me. I thought of Behance. It does that. Sort of. I'm not sure if i understand you right, but you want to display chips (i guess thats what you call "lozenges") within a card. 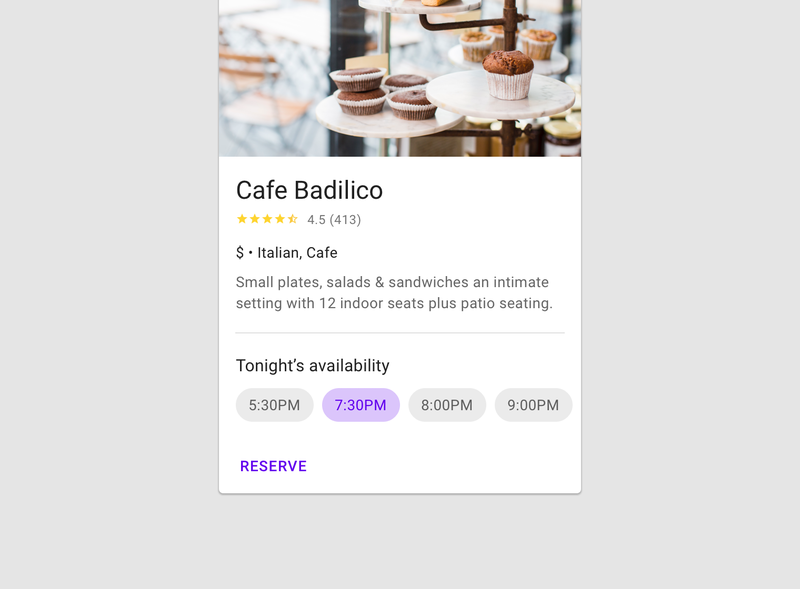 Just an example from material ui which provides the user with choice-chips within a card. I don't see why it would be a problem to display the applied filters as chips within a card. In a card style layout, do pin/unpin have the same meaning to the user as hide/unhide?